This page provides information on how to create widgets shown on the pages across the demo site. 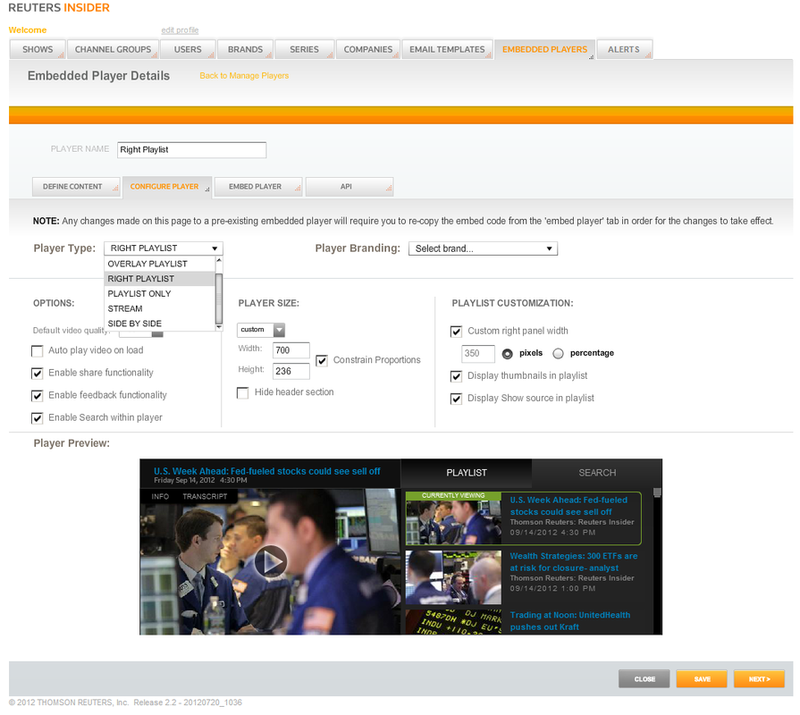 To create embed players, create a channel on Reuters Insider and setup your embedded player under the Embed Player section. You can use the Configure Player option to select what type of player to create.